The Physics Groupie Blog: Science as a Moral Compass? Science can mean many things to many people, but can science become a person’s moral compass in life and help make tough ethical decisions? Possibly to most, science isn’t usually viewed in this light but let’s take a closer look to see if there’s potential. First, we should review the basic tenants of science. Good science is always in pursuit of the truth. The truth in scientific endeavors, as in life, isn’t always easy to swallow. For example, if a scientific theory that’s been held for a long time suddenly comes under scrutiny as result of new findings, what should the reaction be in the scientific community? The new results may serve to counter a scientist’s lifetime worth of work, so they shouldn’t be taken lightly, but the truth is the truth and new theories that support a more accurate description of nature would need to be considered. It would be easy to dismiss the new results as heresy, but does that serve the truth? Next, consider the Scientific Method itself. A scientist begins by asking a question, then conducting background research, and constructing a hypothesis. Through experimentation, the hypothesis is tested, and the data is analyzed to draw a conclusion. The final step is to communicate the results to the scientific community that is expected to repeat the experiment and achieve the same results. All the effort is to seek an accurate depiction of nature. The scientific method is cyclic pursuit of the truth because as new research results become available, the original hypothesis must be refined over and over again. This is the beauty of science, over time a closer approximation of the truth is garnered. Sometimes however, scientists falter in the principles they’re supposed to uphold. Recall from 2006 the scientist embroiled in the Korean cloning scandal. 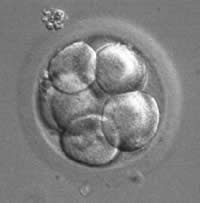 Hwang Woo-suk was found to have falsified research results when he claimed to have successfully cloned human embryos and extracted stem cells from them. The result was disgrace for an individual scientist and repudiation for the South Korean government program that supported him. Certainly the truth was not the primary motivating factor in this case. But can these scientific principles be applied to the moral dilemmas in everyday life? It may be a difficult realization, but I maintain that if you adhere to the same pursuit of truth in your life, just as a scientist does, it can lead to a fulfilling, satisfying and best of all, low stress existence. I myself, who some may see as the epitome of scientific thought, has had to learn this lesson the hard way. But even at my age, some old scientific-dogs like me can learn a few new tricks. I remember a discussion I had with my therapist when we were talking about the Null Hypothesis concept during one of our sessions. If a scientist fails to use proper methods to yield conclusions for an experiment, i.e. their use of the truth is fallacious then the results of the experiment are corroded. The point is that all this can be applied to a person’s moral compass. The pursuit of the truth in your personal life is completely congruent with the same principles used in science. You adhere to one; you should adhere to the other. The result is a more principled, more unadulterated life view that will be more harmonious with the people you care about and who care for you. Is this yet another beneficial aspect of a science lifestyle? Yes, I think so!